"After it happened they were sent away. "� Thus begins the story of Polly and Maud. It is 1932 and they are sent from Winnipeg to an island between Vancouver and Victoria to live with their grandmother. Polly, aged almost ten, is terrified, both about what has just happened and about what awaits her. Her older sister, Maud, aged fifteen, makes Polly promise to keep a dramatic secret about their father. Over the course of three years, Polly gradually adjusts to her new life on Kingfisher Island - and the secret is finally revealed. Several years ago, a friend told me a story of how she and her sister had been sent to live with their grandmother during a family crisis. This was the nucleus for the story of Polly and Maud. I decided to set it during the 1930s, the time of the Great Depression in Canada. 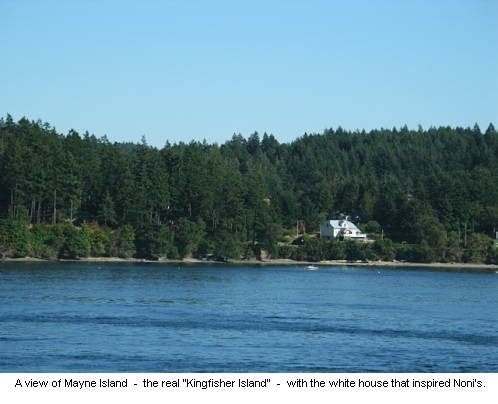 The island setting is inspired by Mayne Island, where I have a cottage, although I have changed some features so that it could be any of the B.C. gulf islands. I greatly enjoyed trying to capture the beauty and peace of the island at a time when there were only about a hundred and fifty people living there. This is the longest time span I've ever written about, and I really liked having several years to develop the plot and characters. However, the first version of the novel became so long and complicated that my editors suggested that I turn it into two books! 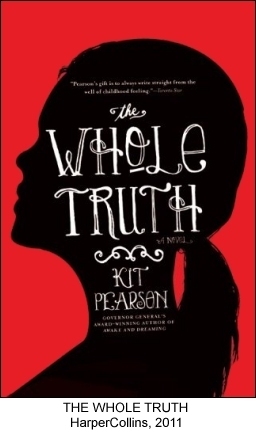 The sequel, AND NOTHING BUT THE TRUTH, continues Polly's story for another year.